Please join us for another edition of Data and Donuts! This time, we'll focus on Student Data! Maksym Monastyrskyy and Nick Barbulesco will present the latest Tableau versions of Student Enrollment Trends, which will soon be available for campus audiences. Trends include enrollment by location, gender, ethnicity, level, and many more. The datasource from which these reports were built is a new artifact in Institutional Analysis (the Student Census Cube), which is sourced from the Student Information System and updated each term on the 15th day of instruction. De Van Doan, Institutional Research Analyst in College of Engineering, will present the new pilot data sharing program with Business Intelligence, leveraging the Student Census datasource to develop college-specific data visualizations in Tableau. Meryl Motika, Lead Analyst for the Center for Educational Effectiveness, will introduce a new data request system for faculty and discuss her unit’s work using Tableau to help the University Honors Program (UHP) with assessment and planning.  The new data request system helps faculty navigate the legal requirements for using student data in research, especially studies intended to improve the UC Davis education. The UHP dashboard is part of the BIA Tableau partner program. We merge their program data with registrar data and use Tableau to make it easy for program administrators to understand their students’ backgrounds and outcomes.